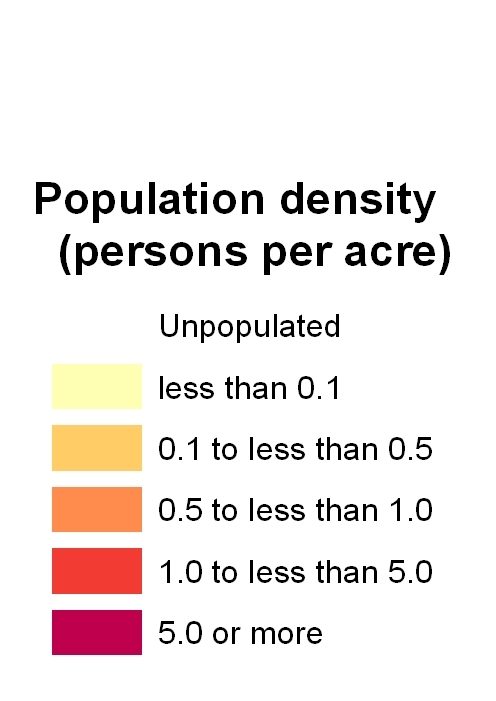 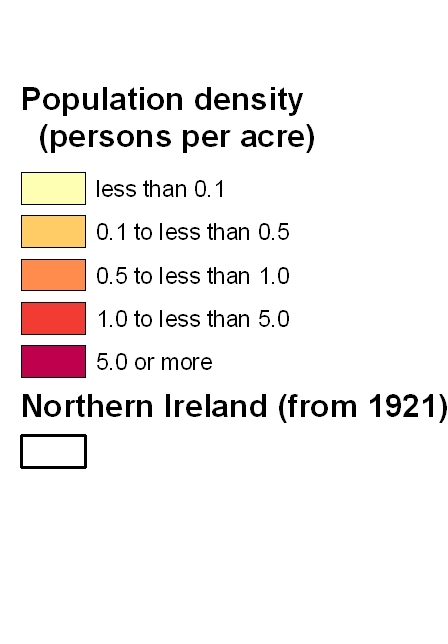 Population density in 1821-1891(by barony), and 1901-2001/2 (by rural and urban district). 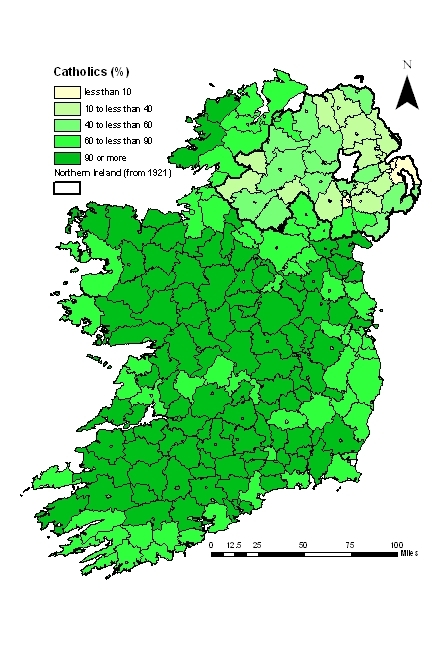 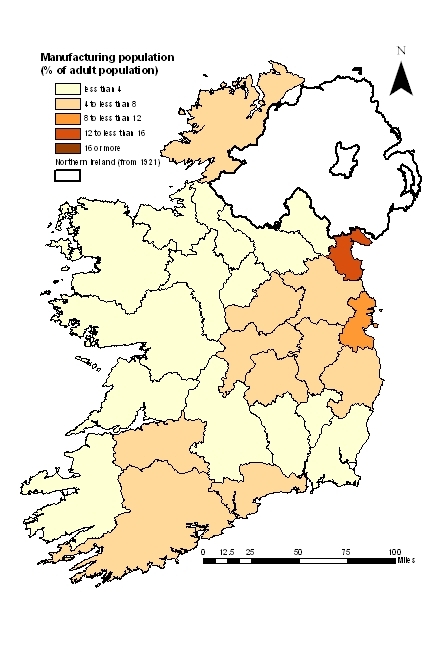 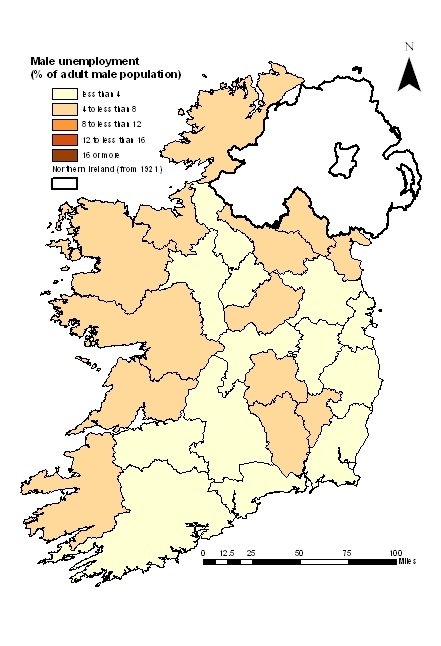 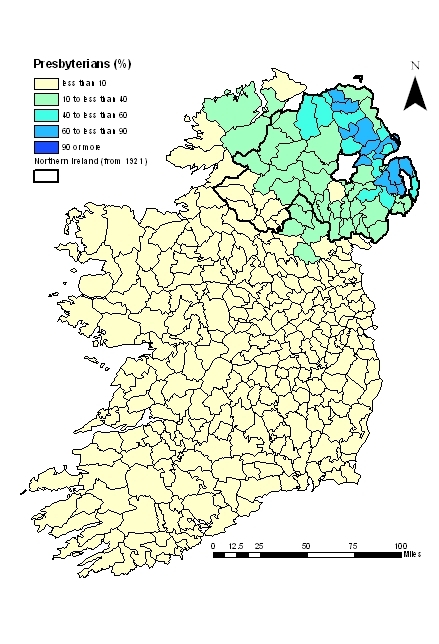 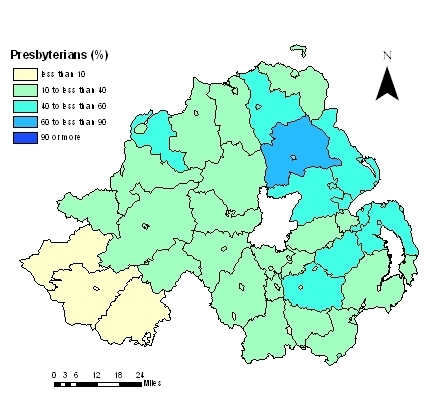 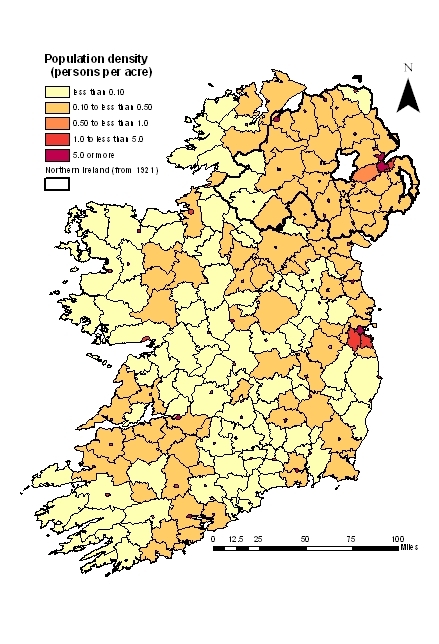 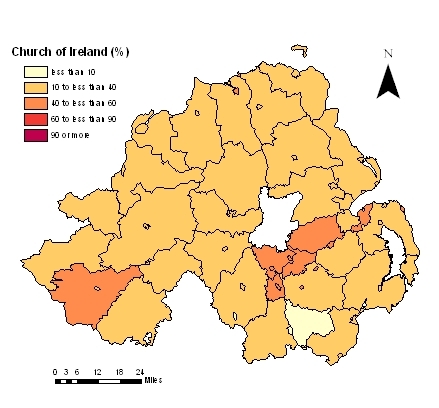 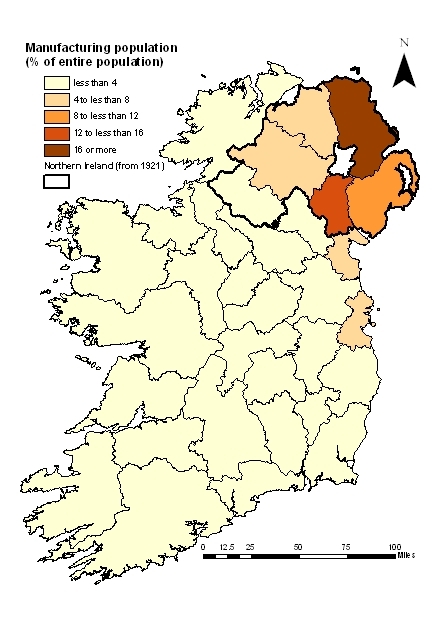 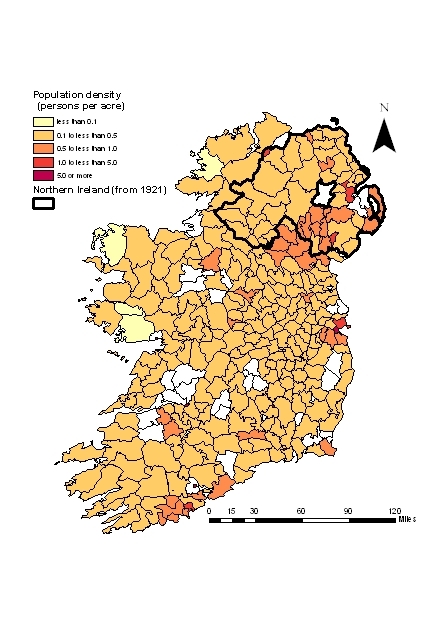 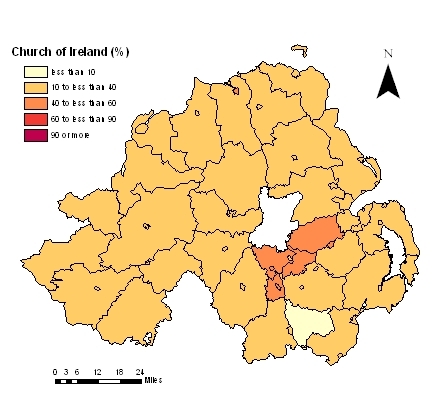 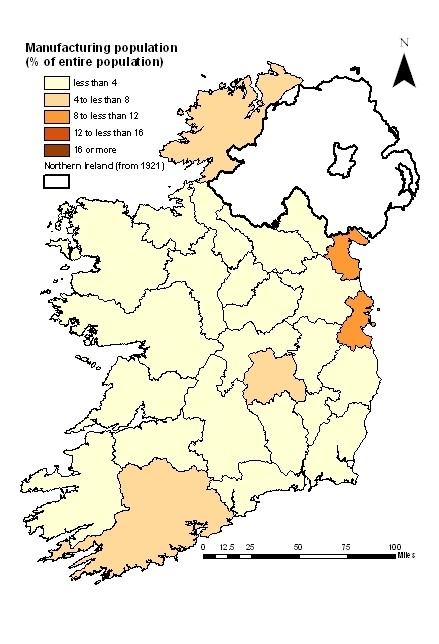 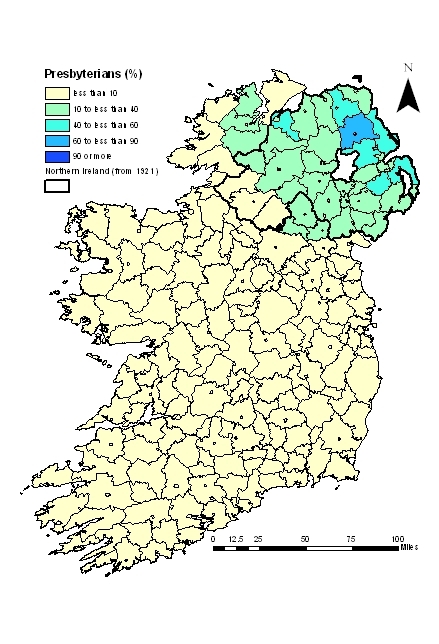 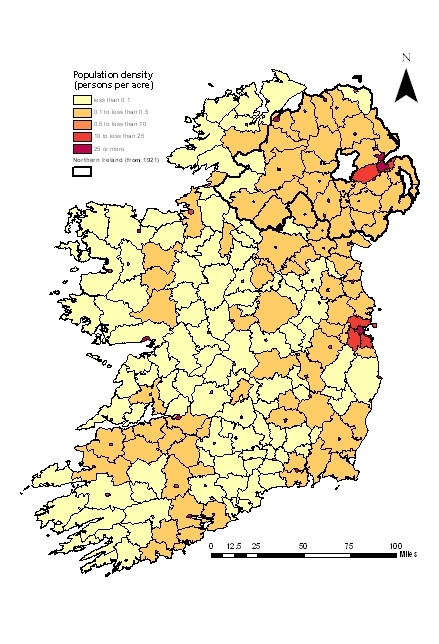 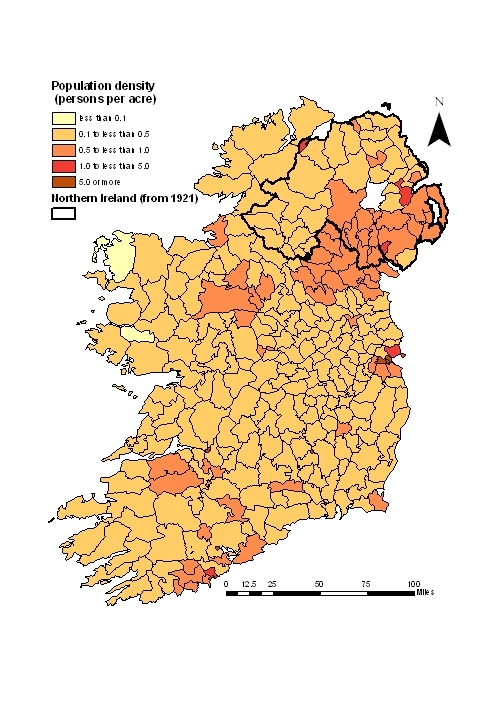 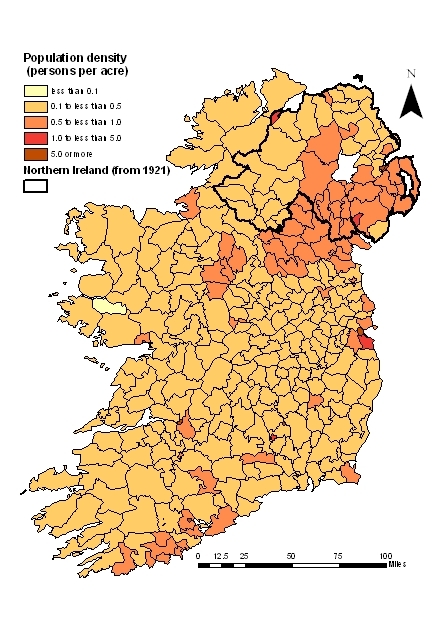 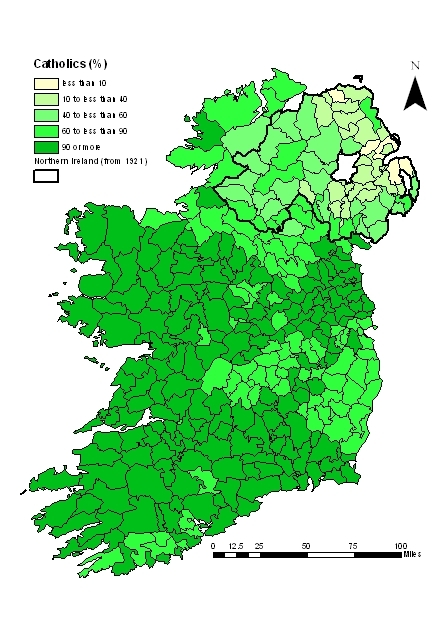 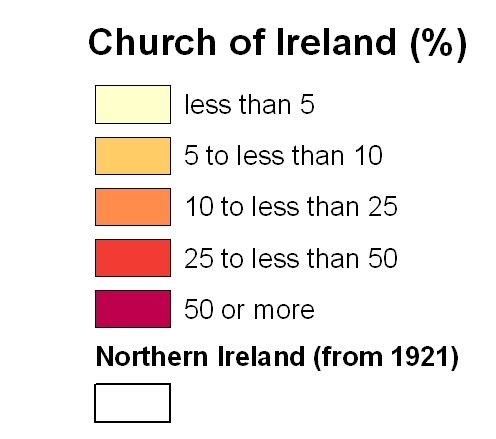 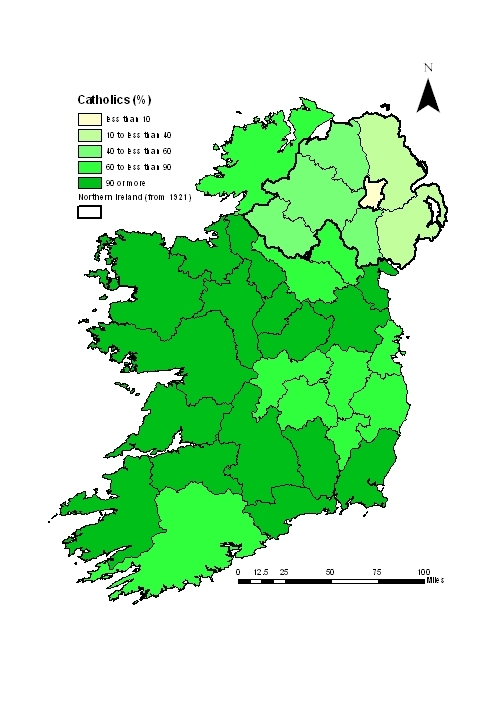 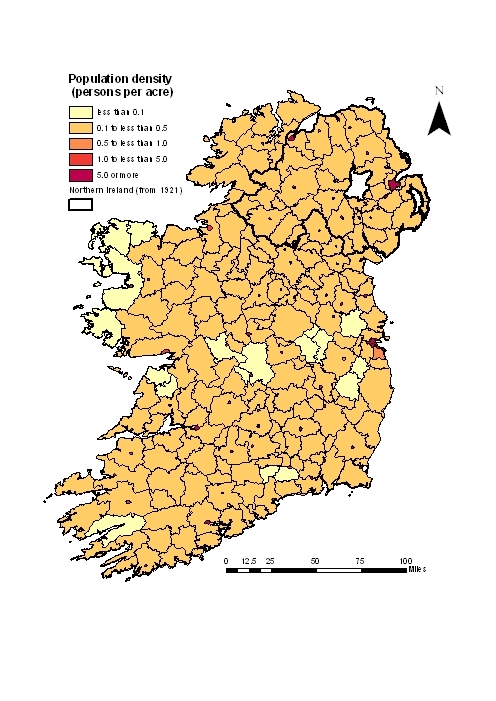 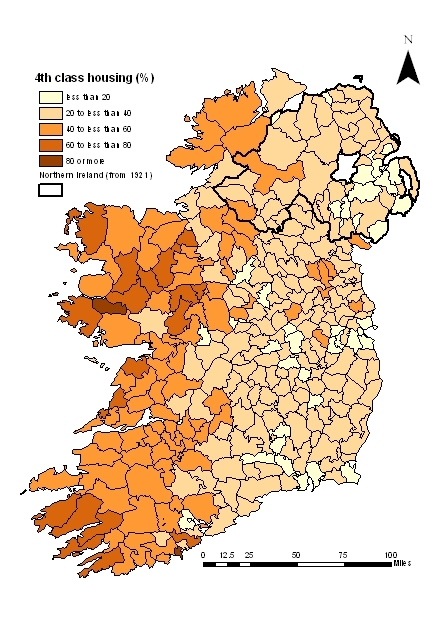 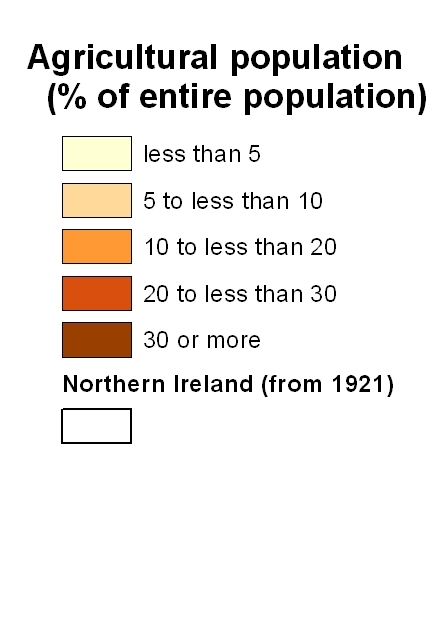 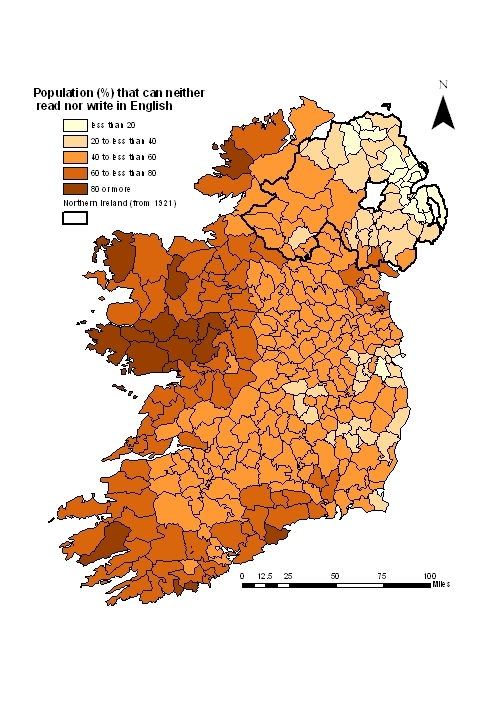 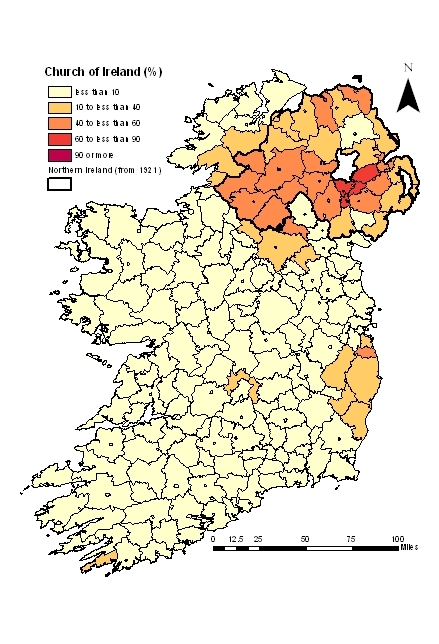 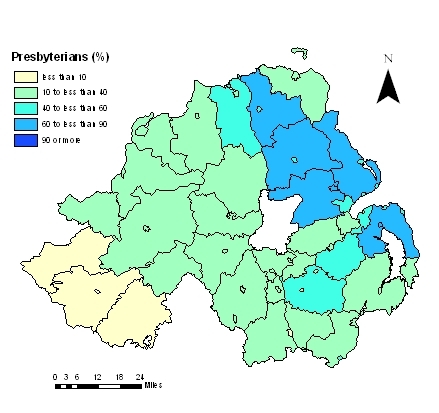 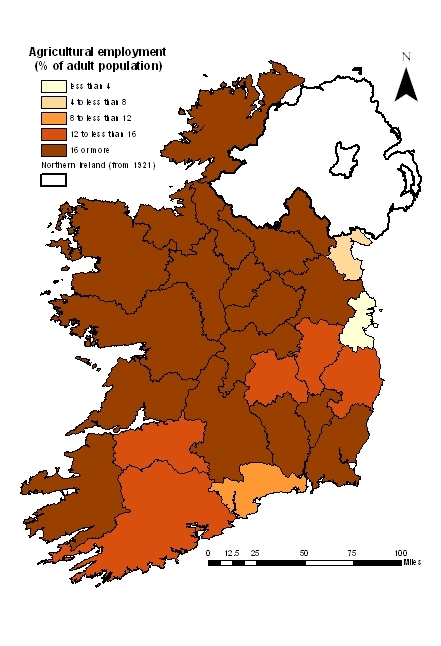 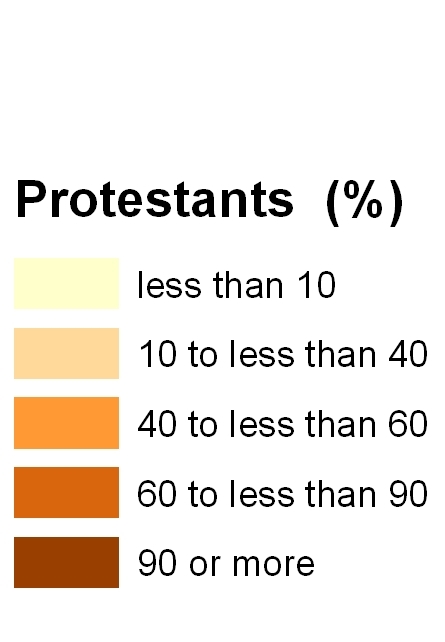 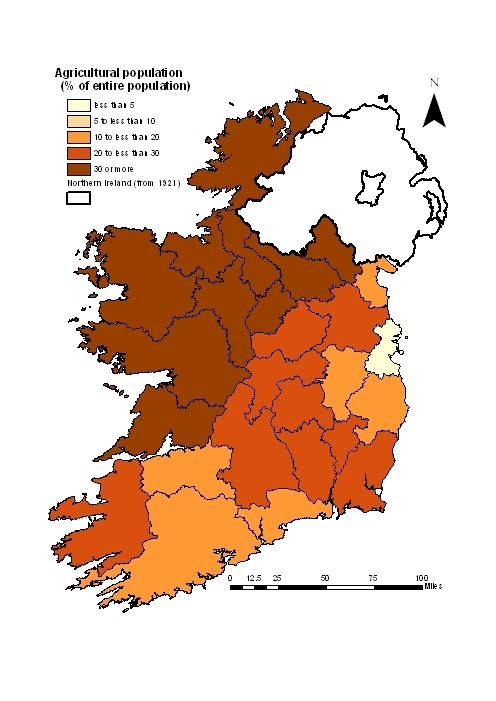 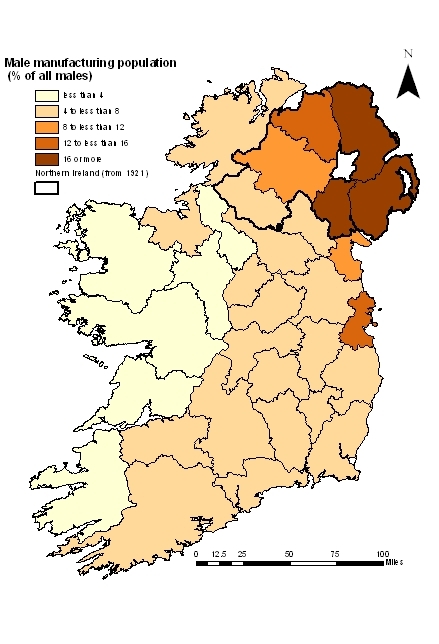 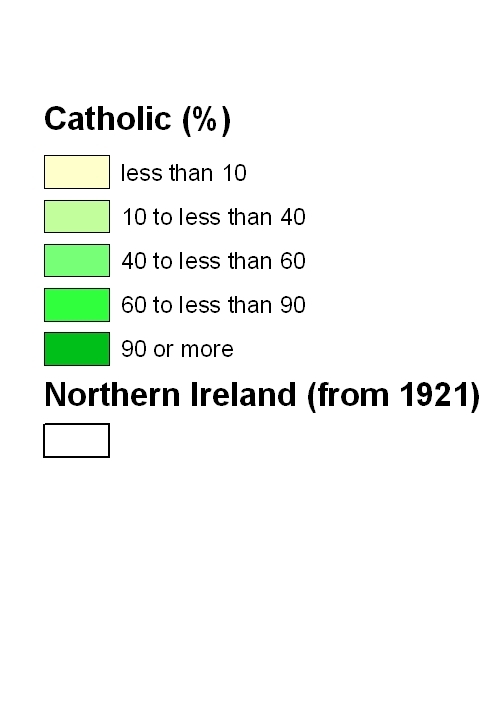 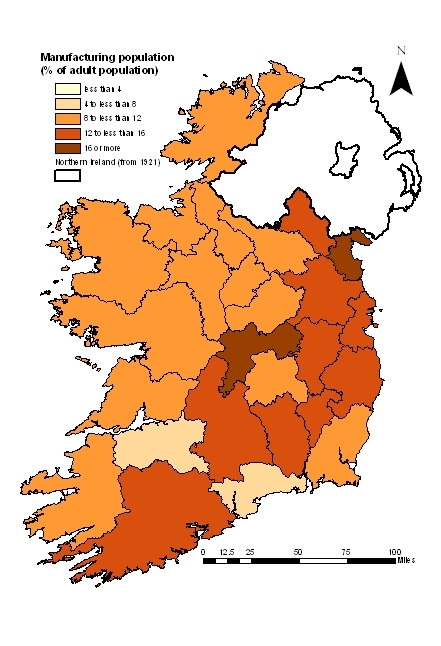 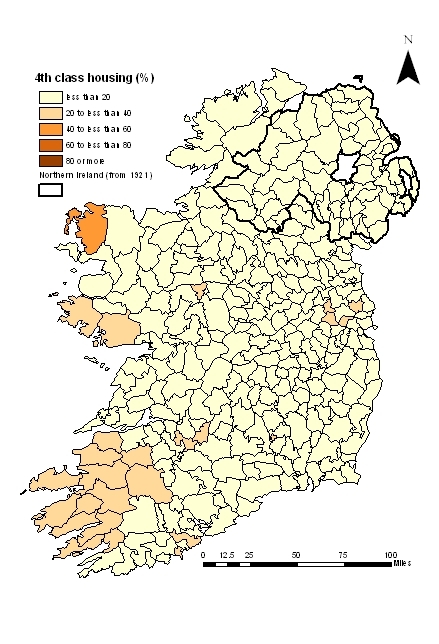 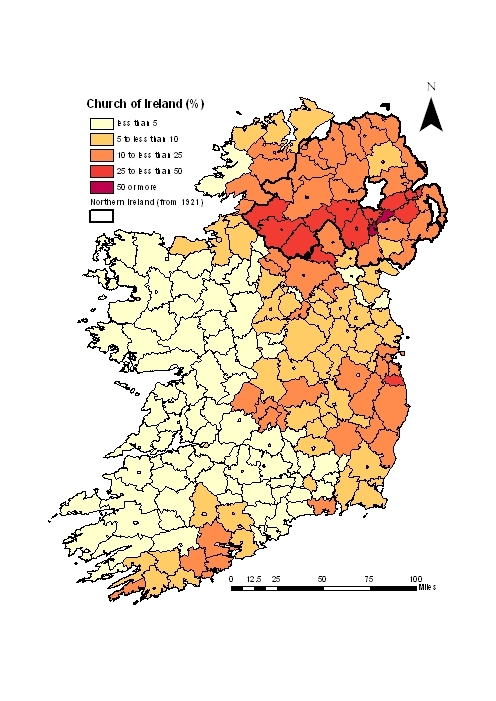 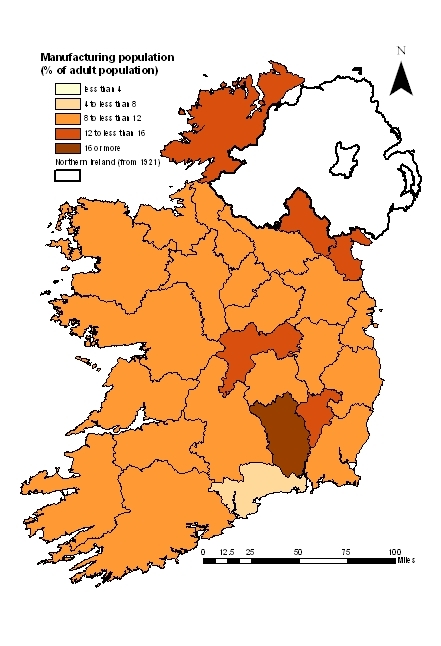 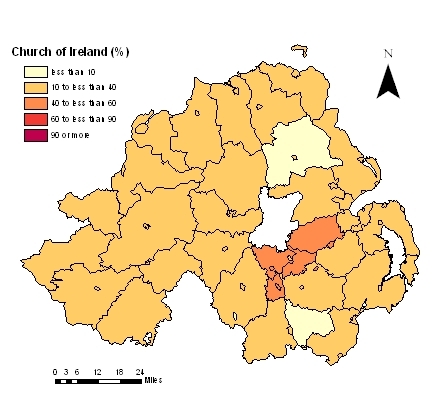 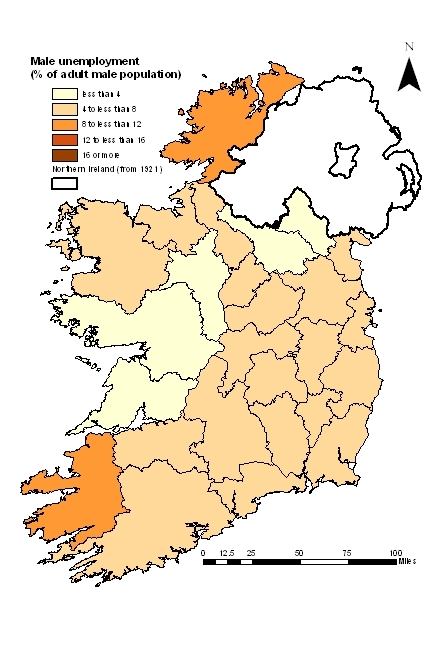 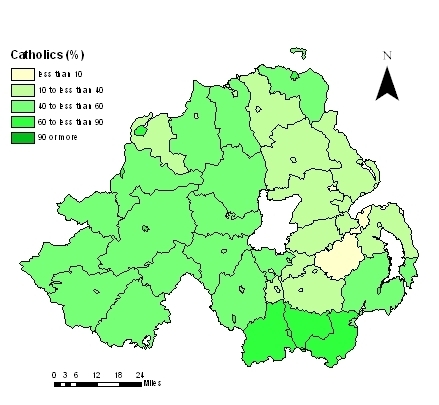 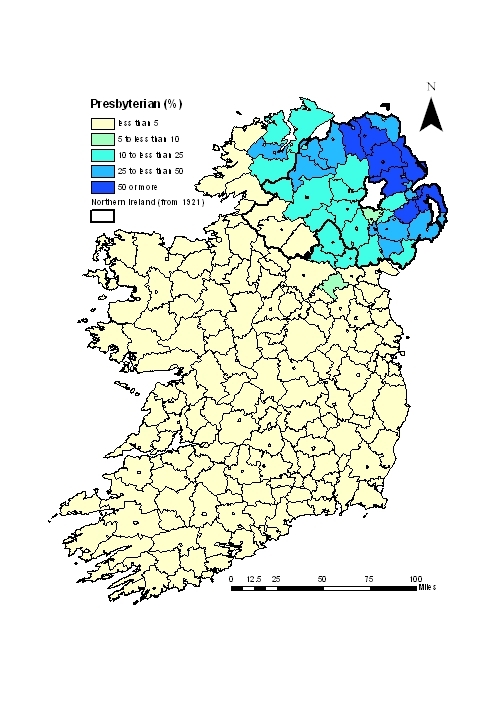 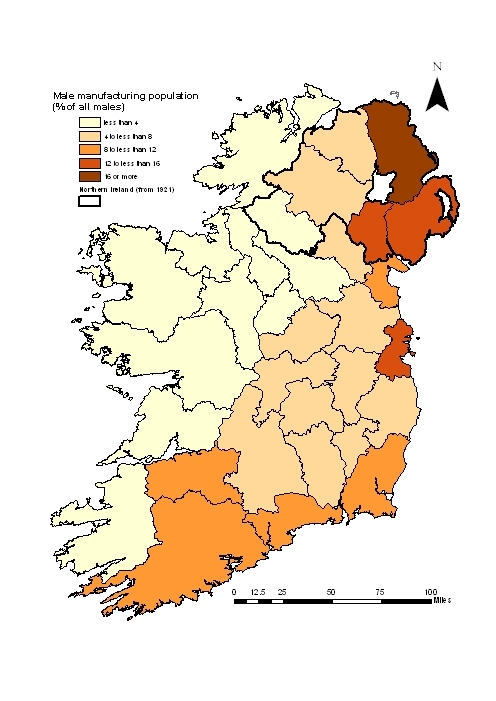 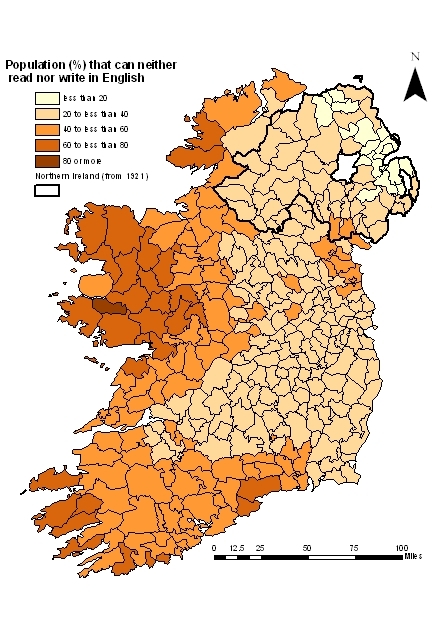 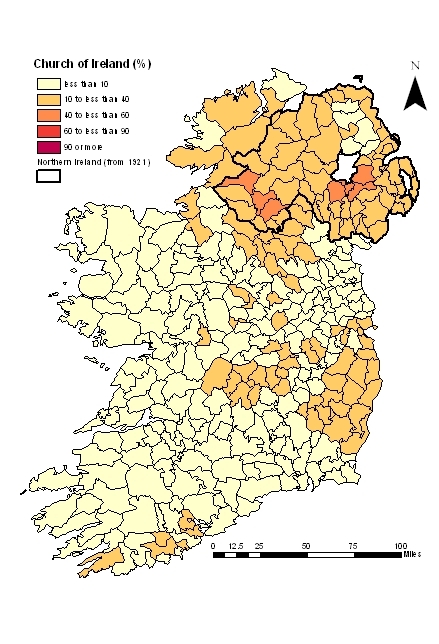 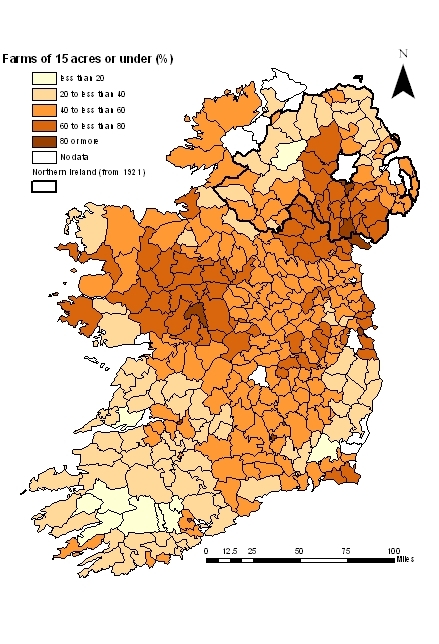 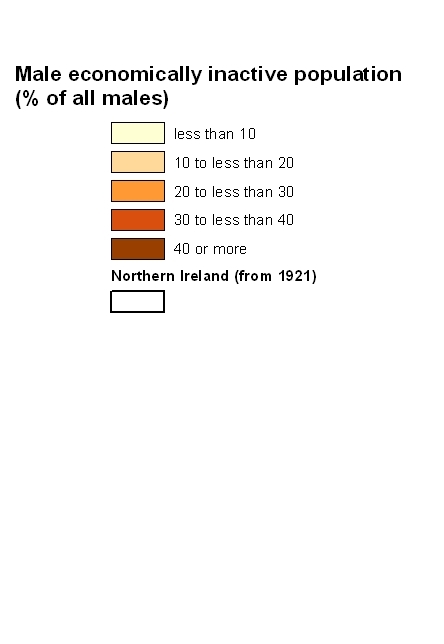 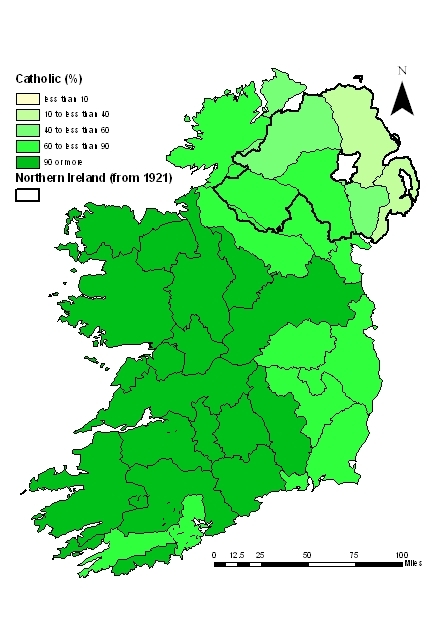 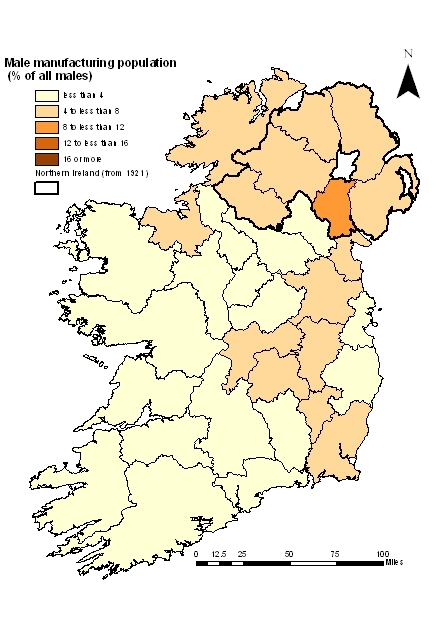 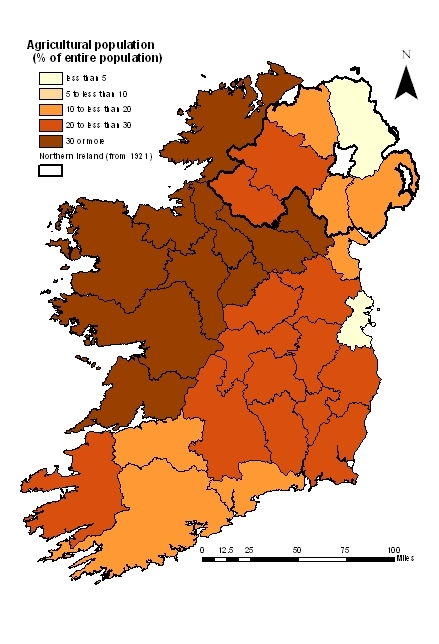 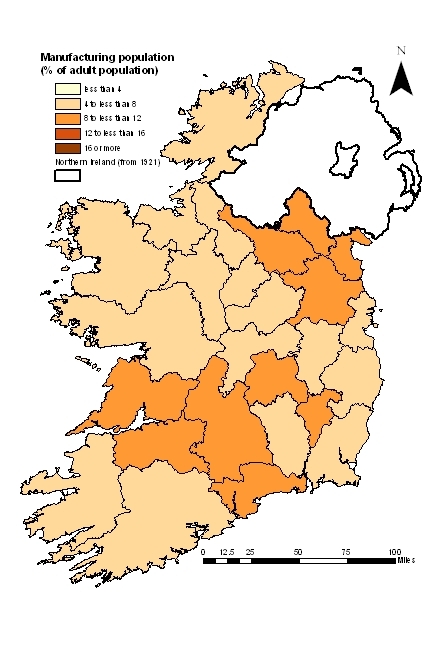 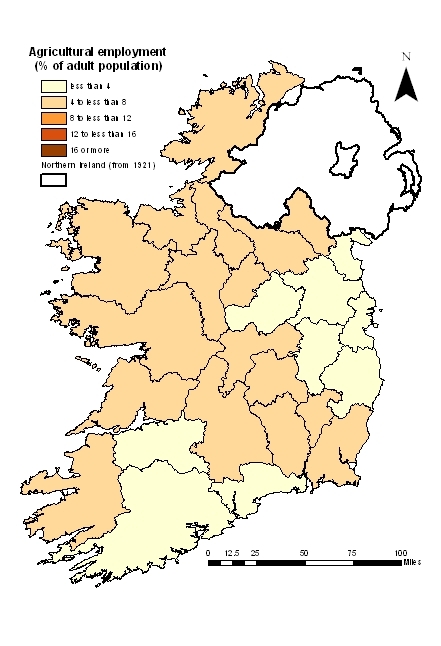 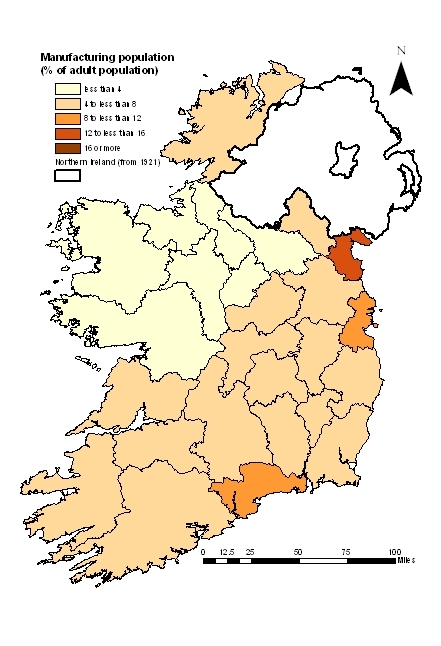 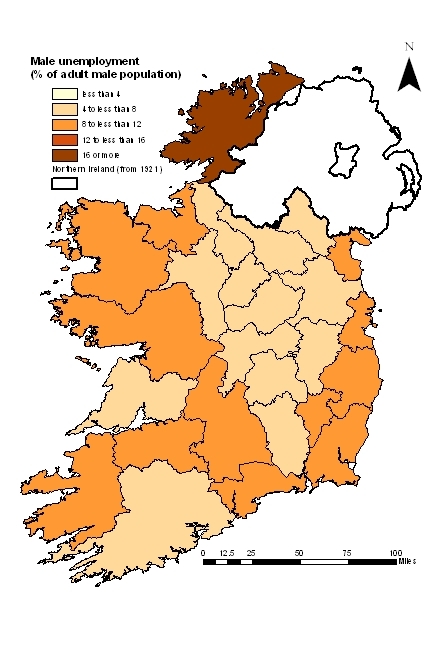 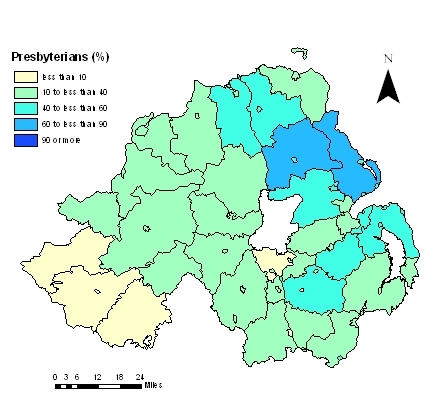 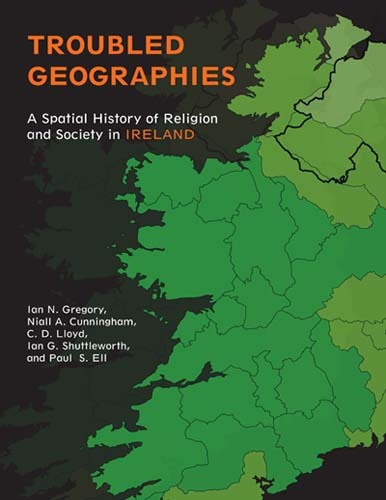 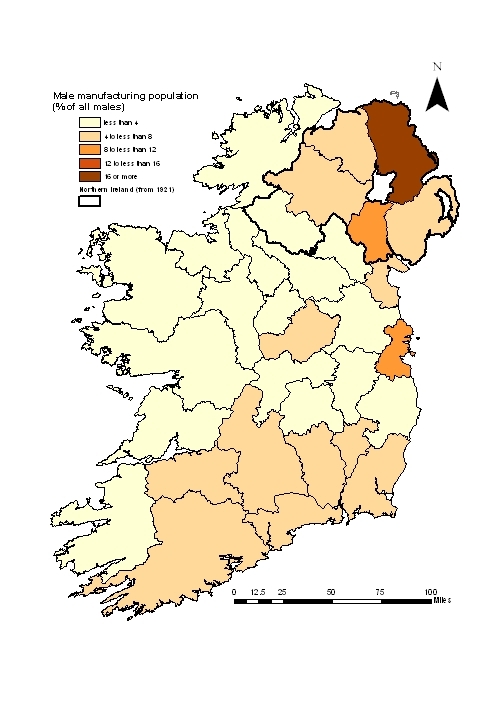 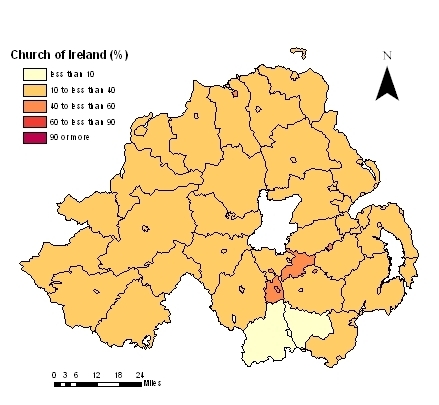 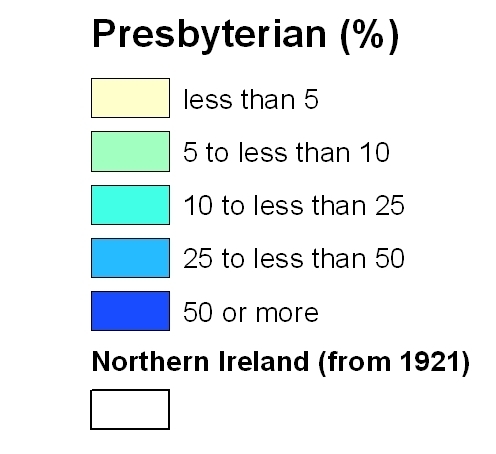 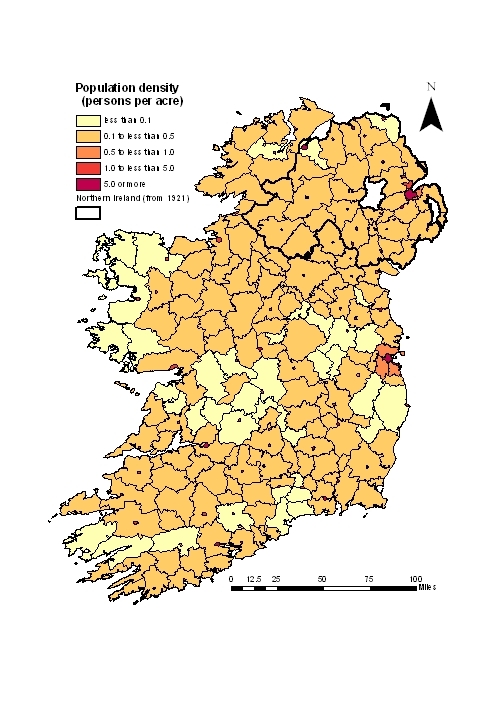 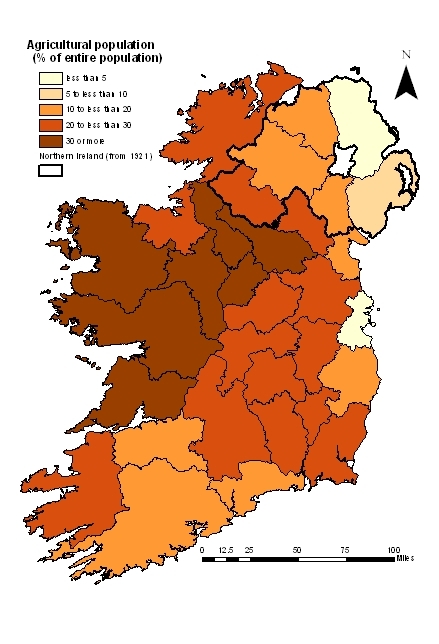 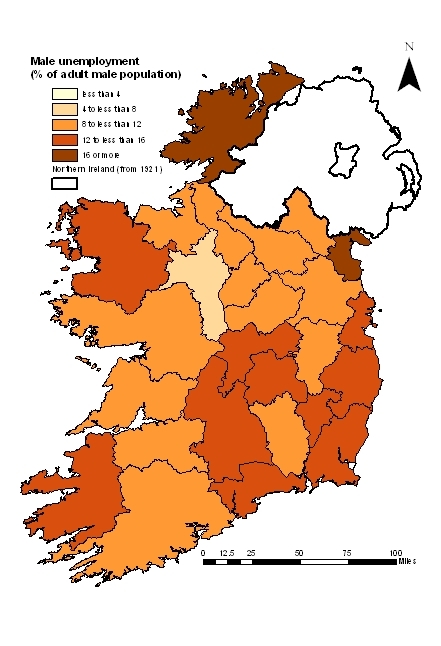 Catholics as a percentage of the total population for Ireland in: 1834 (by diocese), 1861 (barony), 1871-91 (county), 1901-2001/2 (rural and urban district); and for Northern Ireland in 1926-61 (rural and urban district), and 1971, 1991 and 2001 (1km grid square). 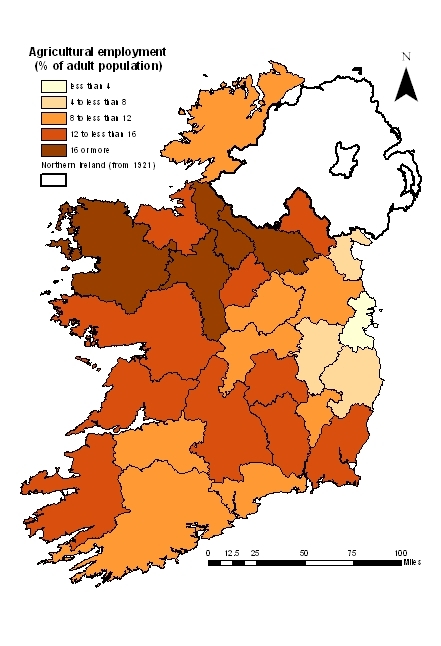 Manufacturing employment: 1831*, 1851*, 1871*, 1891*, 1911*, 1926**, 1936** (Free State only), 1946/51**. Then only for the Republic for: 1961-2002***. 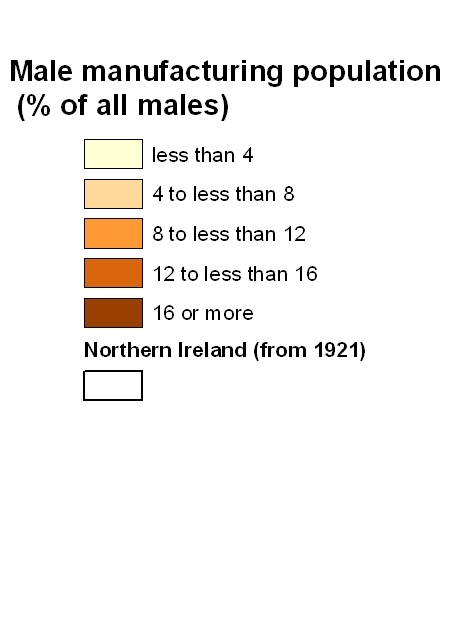 Note: *as a percentage of male population, **as a percentage of total population, *** as a percentage of the adult population. 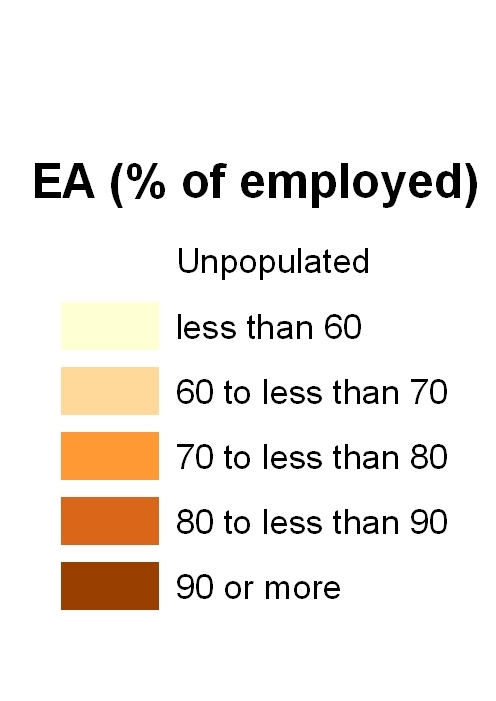 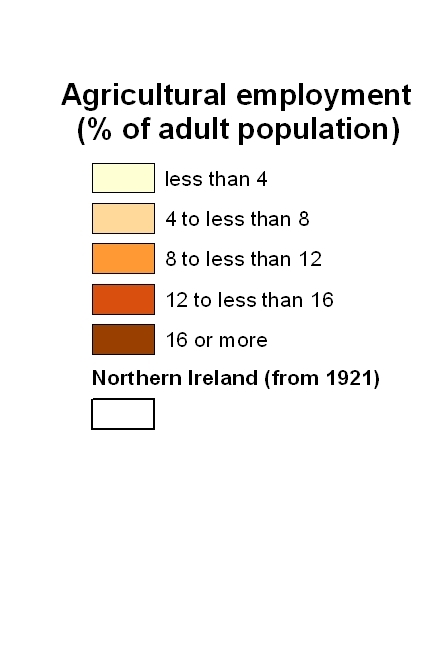 Percentage people employed in agriculture, 1926-2002. 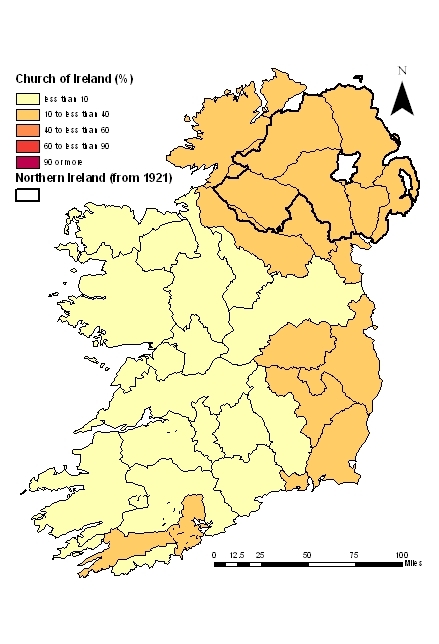 Northern Ireland is only available for 1926 and 1951. 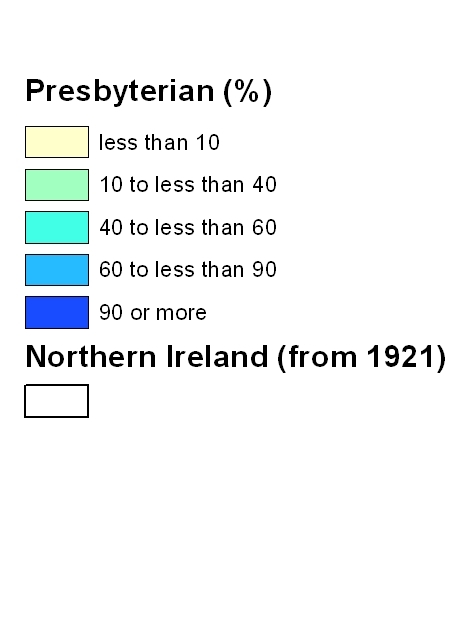 Figures are percentages of total population until 1951 and as percentages of the adult population from 1961 on. 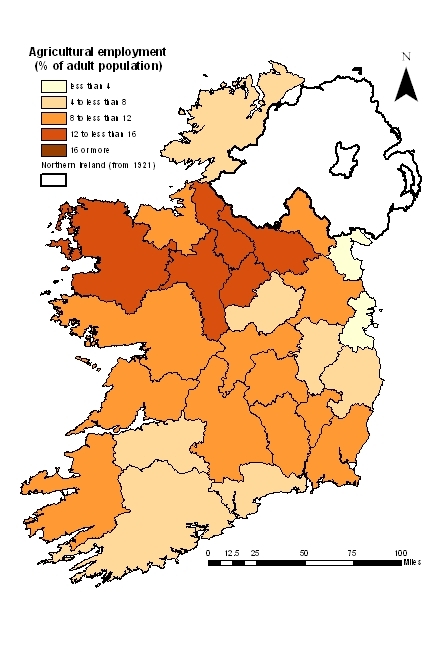 Unemployment at county level, 1926-2002. 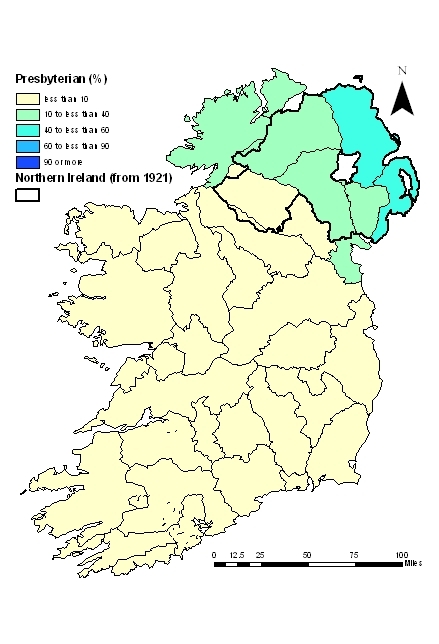 Northern Ireland is only available at county level for 1926 and 1951. 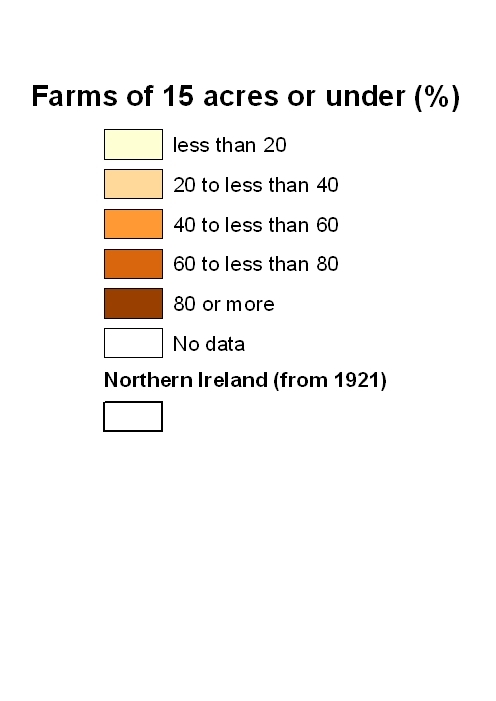 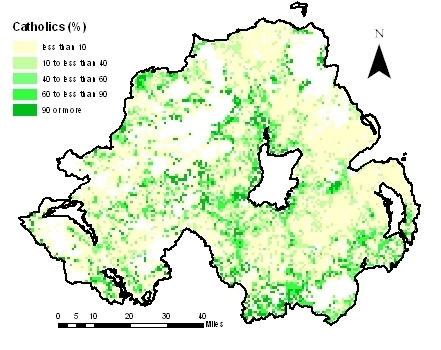 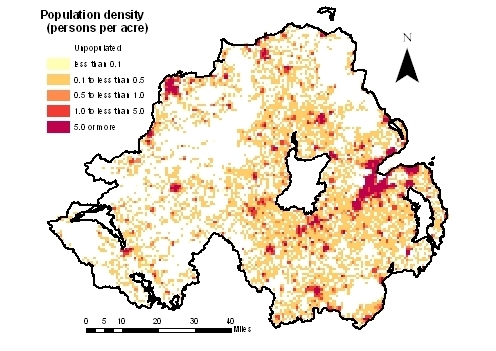 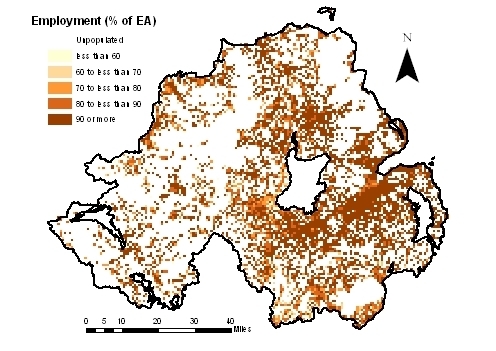 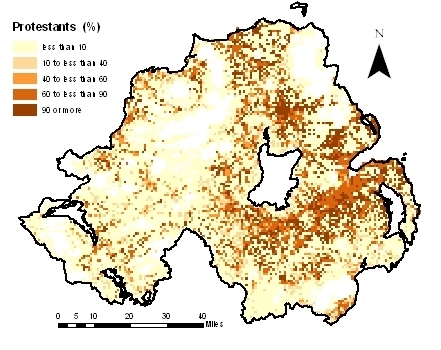 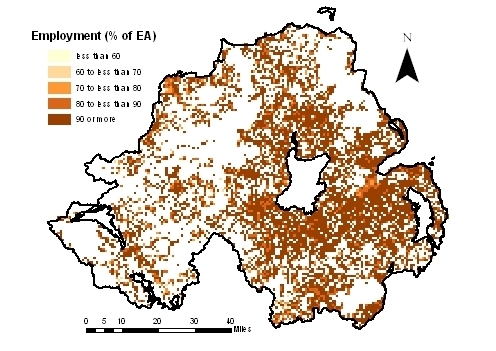 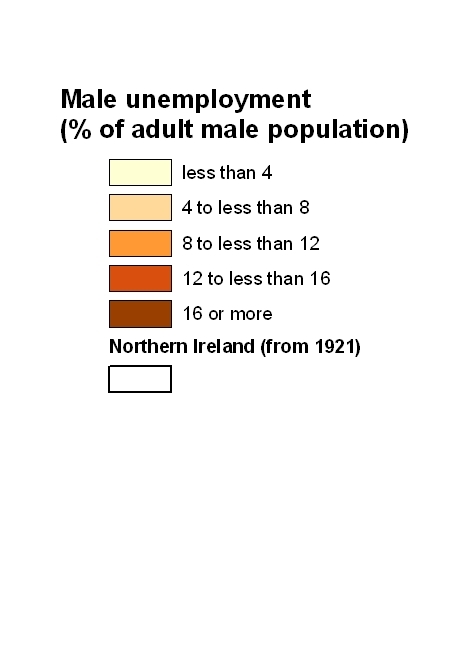 Employment rates are available for Northern Ireland for for 1km grid squares in 1971 and 2001. 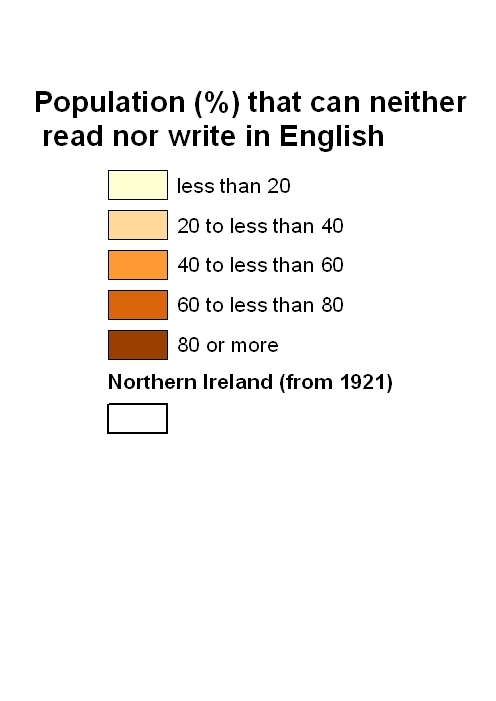 Illiteracy in English by barony, 1841-61. 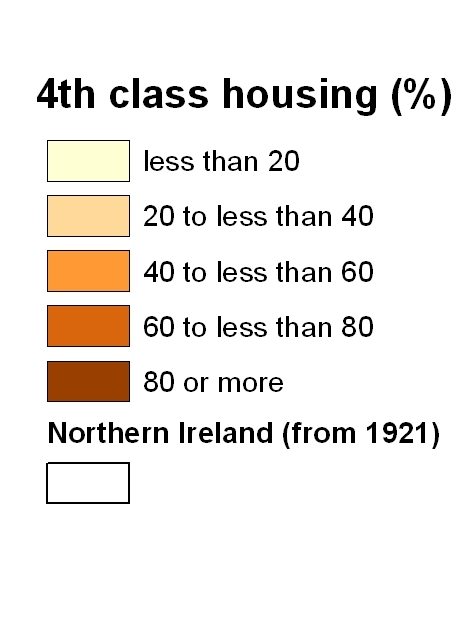 Fourth class housing by barony, 1841-61.